Today on A Public Affair Esty tackles the global economy: Greece, China, the EU, austerity, and the United States. Where are we? How did we get here and where are we heading? 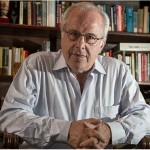 Host Esty Dinur talks with economist Richard Wolff talk about this and likely scenarios for the future.